Is Church Growth a Solution Looking for a Problem? The apostles addressed a broad range of church issues, but no New Testament writer ever told a church to get bigger. We’ve invested a lot into the art and science of church growth in the last 50 years. It makes me wonder. After such a massive output of time, energy, research and money, have we become like the proverbial man with a hammer who sees everything as a nail? The words Church Growth are packed with so much emotional baggage that they’ve become virtually useless in my context. I’m a huge supporter and promoter of growing churches. How can I not be? Jesus said he’d build his church, and I always want to be on Jesus’ side. But I’ve stopped using the term Church Growth when I talk about it. I read another one of those church growth blog posts recently. You know the ones. A list of steps your church can take to break through whatever growth barrier you’re facing. Many pastors feel pushed to grow, but they don’t feel like they get the help they need from church leaders when that growth fails to materialize. The push to build bigger churches continues full steam ahead. I regularly get cries for help from small church pastors because of the damage this push is causing. Today I’m posting two of them. Our numbers obsession continues to leave victims in its wake. Now Perry Noble and the tens of thousands of members of NewSpring church are on the list of walking wounded. I don’t want to pile on. Honest I don’t. So I pray this post doesn’t come across that way. Grow It or Close It? Is there a Third Option for Struggling Small Churches? 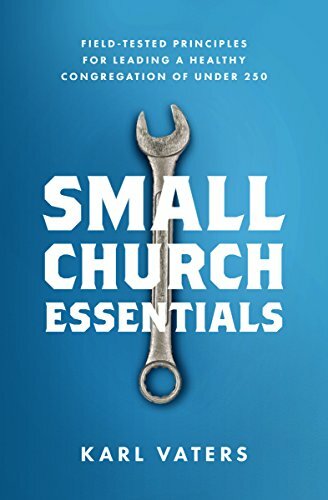 We need to assemble and promote the best ideas we can find to help struggling small churches become healthy small churches. What are we going to do about all those struggling small churches? That question has been the subject of endless hand-wringing in the last several decades. A lot of time and money has been invested in conversations, books, seminars and classes attempting to fix this problem. Church growth should always be a part of every pastor’s prayers, passion and strategy. Especially when it’s kingdom growth. In case you were wondering, church growth is a good thing. Why Didn’t the Disciples Ask Jesus How to Measure Success? Would Jesus have responded to the question “how will we measure success” with anything less than a face-palm? There is no cost too high to pay for the salvation of souls. But there is a cost too high to pay for bigger churches. Church growth is an essential element in the Great Commission. But bigger churches are not.